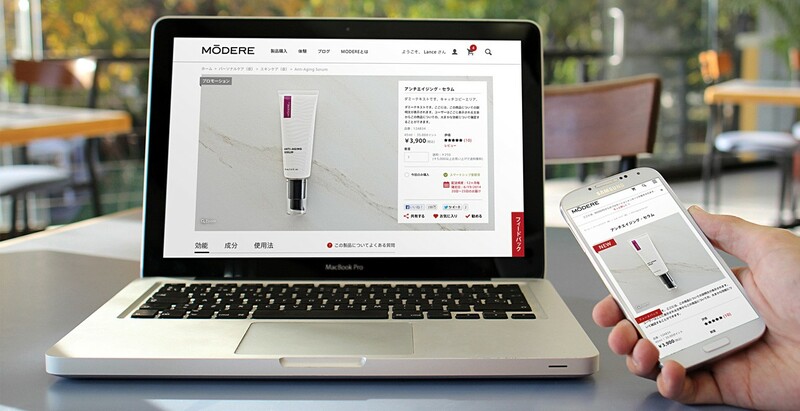 iid designed a responsive eCommerce experience to exceed the expectations of Japanese customers. 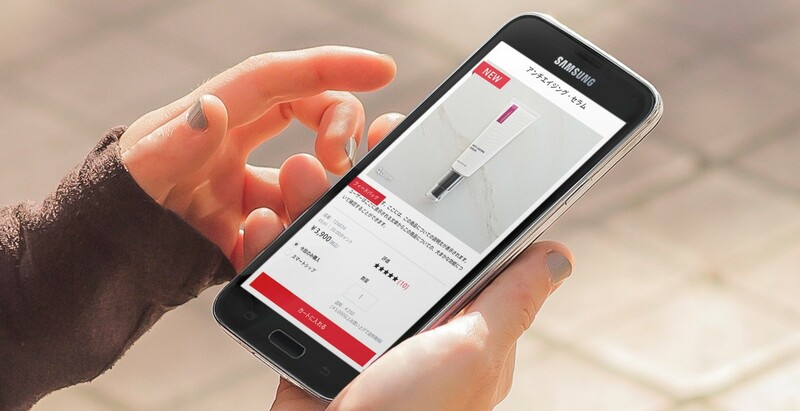 Our brand strategy and user experience process captured the user journey through detailed process flows. 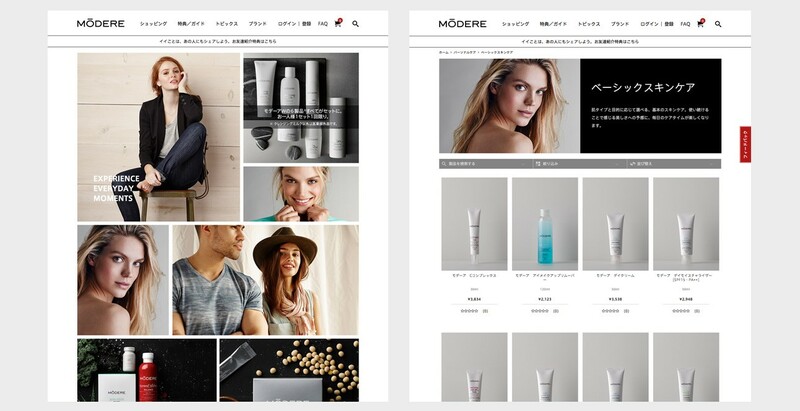 Collaborating with the Modere team, we developed a variety of flows to aid in visualizing the Japanese-specific lifestyle while ensuring all business requirements were met. 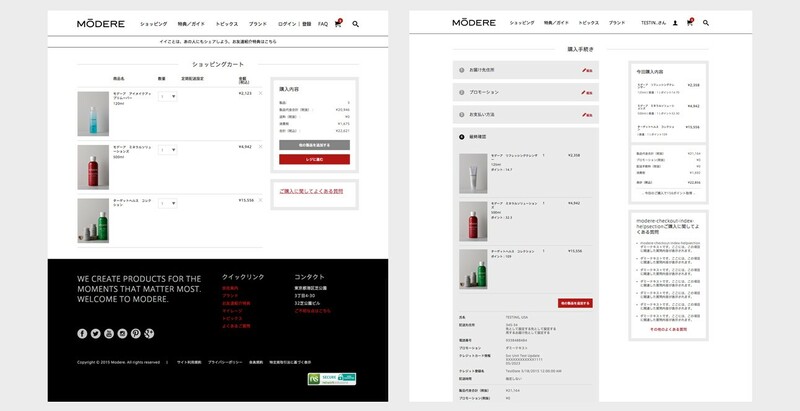 The Japanese consumer’s expectation for premium brand experiences gave our designers the opportunity to put their years of global design experience into practice. 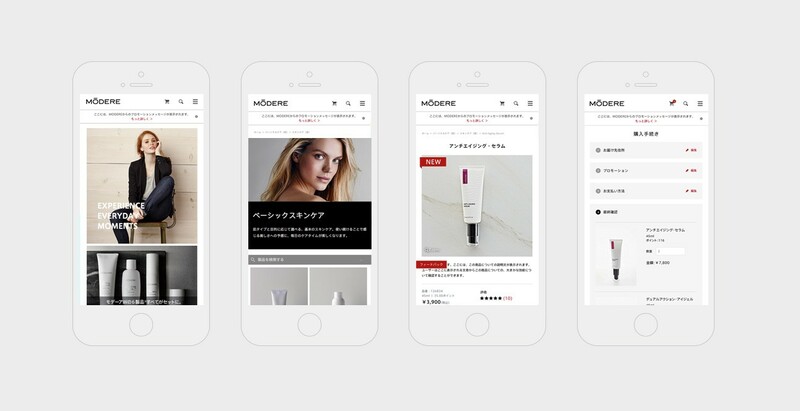 Just as important as the brand was delivering a mobile-first design to be viewed across a variety of Japanese devices. 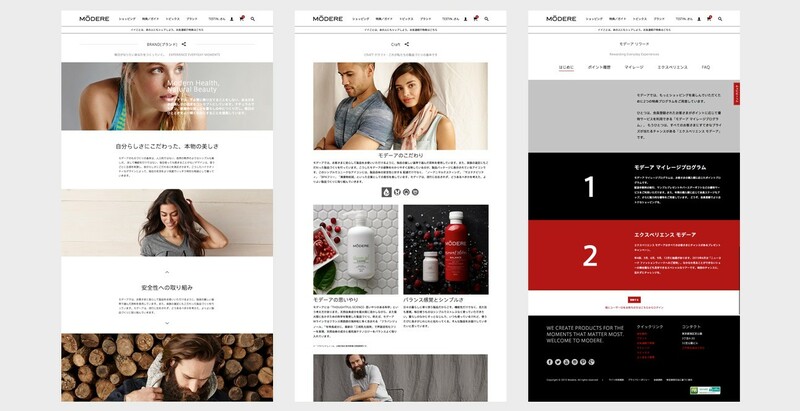 Brand experience & UI design for Japanese lifestyle goods retailer. 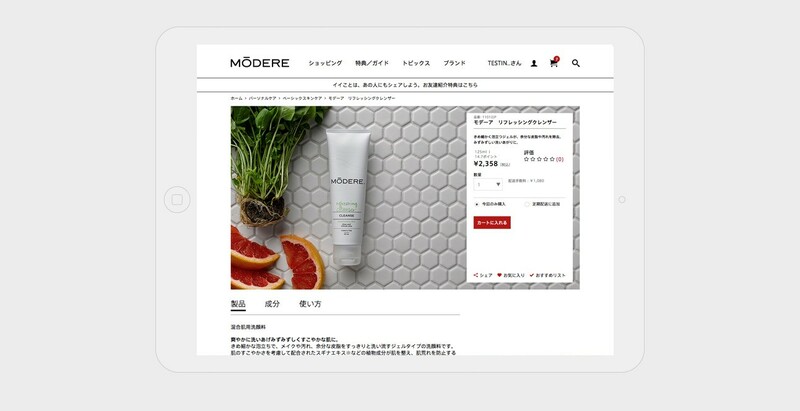 Strategy helped Modere successfully enter the Japanese market.